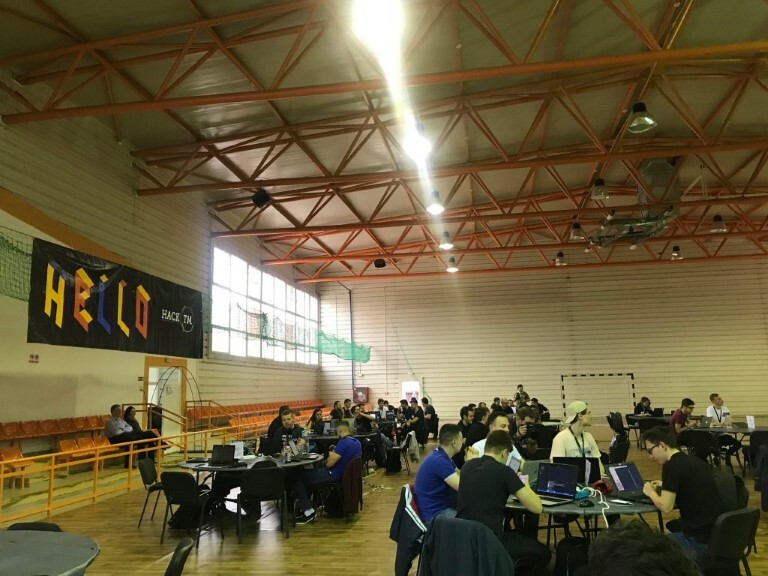 A team from Mobiversal, the company that owns Appointfix app, participated this past weekend at HackTM, a national IT contest held for the first time in Oradea. Our team members participated in the event and we’d like to share some details with our app users. This way you can get to know us more, see our passion and find out about our interests. The contest was called a “hackathon”. What’s that exactly you might wonder. A “hackathon” is a programming or engineering marathon in the field of Information Technology. The word comes from “hacking” and “marathon” put together. No worries though, there was no technological harm for anyone in this event. Although “hacking” has negative connotations, the idea of this national IT contest is to find creative solutions to develop a project in a limited amount of time. So it’s not about “hacking”, and there was surely no unauthorized intrusion into a computer or a network. 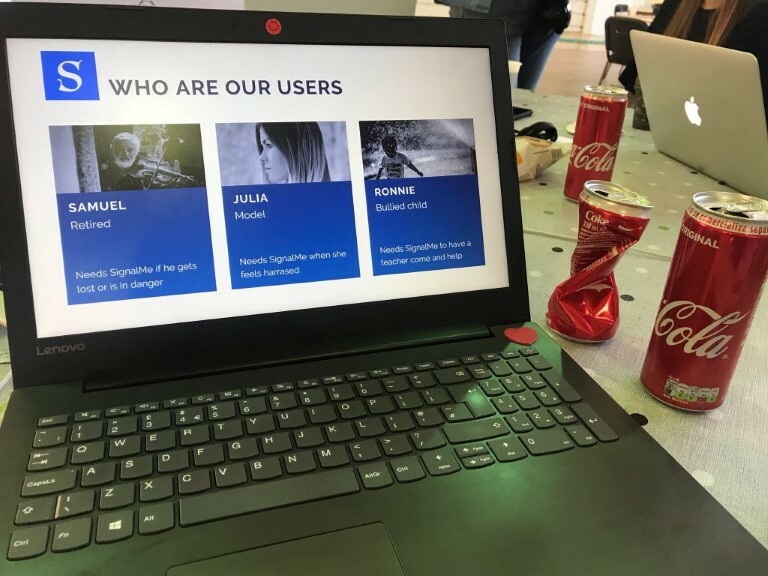 HackTM was about teams of IT engineers, students and projects managers creating an app or a robot from scratch – in little more than 48 hours during the three-day event. A real challenge but successfully fulfilled in the end, thanks to lots of team effort, determination and well… lack of sleep too. The contest was open to geeks, developers, designers, freelancers, employees, students, CoderDojo kids and pretty much any talented and creative individual with an interest in the field of Information Technology. The atmosphere was friendly, professional and fun at the same time. Having so many talented and super passionate IT professionals in the same room (at the University of Oradea in the gym), the success of the event was assured. On Friday night, the first evening of the event, the participants presented their ideas and looked for team members to help them with their project. So teams were formed, then everyone worked hard for the next 48 hours in completing their projects. Some projects that were in the contest: robot providing farming solutions, device recording data after surgery, smart heating and welding, receipt scanning app, fitness app, automatic solar greenhouse, an app for small farmers to sell directly to the consumers, a sports booking platform, AR system – glasses that show you the specifications (model, top speed, cc) of the car in front of you, event aggregator for Oradea city – composed by a web crawler for gathering data, a website and a mobile app for finding the right event for you in the chosen area, etc. Our team members developed a mobile app at the event. We called it SignalMe. We thought about it as an instrument that makes you fearless, more protected and braver in dangerous situations. The goal of our app is to help people feel safer using simple voice commands and keywords. The users of SignalMe would be girls and women who need to feel safer, old people who are in danger or get lost, and also bullied children who’d need the help of an adult (teacher, parent and other trusted people) to come and get them out of a difficult situation. Our app is integrated with Siri and would be used for asking for help in a manner that the aggressors wouldn’t know about it, but help would immediately come from other users of the app in your area. Another feature of the app is to encourage people to be more responsible citizens, being volunteers and offering help to others in need in their area. Technologies used: Swift, SiriKit, HealthKit and Geolocation. At the contest we’ve developed the app for iOS devices, planning to work on it also for Android in the future. Were we the winners? No. At least not for the prize. But we sure had a lot of fun working on this project, winning experience and enjoying a great time of team building and networking, plus having produced a mobile app which we can finetune and launch on the market. Not to mention the free food. And lots of coke and coffee running through our veins. The guys in our team stayed up until the early morning hours, went home to sleep for a couple hours and got back to work. It’s worth mentioning that people in other teams, who wouldn’t want to waste precious time on the road, slept right there in the gym on mattresses or benches provided by the organizers. Sleep was a rare commodity this weekend, but it was worth it. It’s no easy task to build an app or a robot from scratch in only two days, but there’s satisfaction in completing the very difficult tasks. You can read here more details about the event and info about the winning project. The feedback at the end of the weekend-long event was very positive and enthusiastic. “This was quite an experience”, “we should get some rest and catch up on sleep, but then let’s do it again soon”, “this was excellent”, “we want more”, etc. is what my talented coworkers and other participants were saying. And that’s quite something coming from people who’ve sacrificed their whole weekend in order to do something they love doing. That’s what it means to be passionate for real.